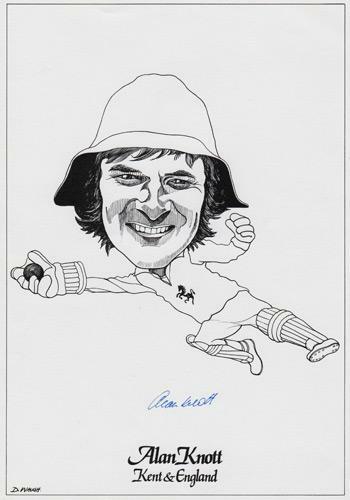 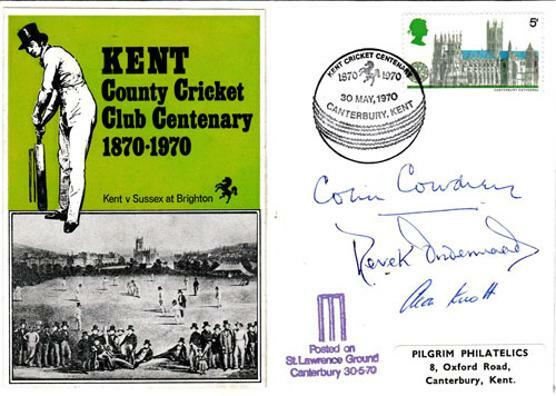 Signed 1976 Kent CCC benefit brochure. 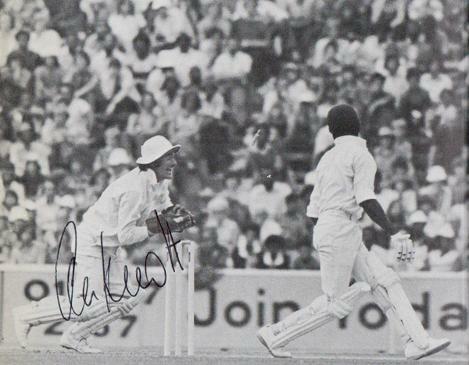 Signed B&W England v West Indies test match picture. 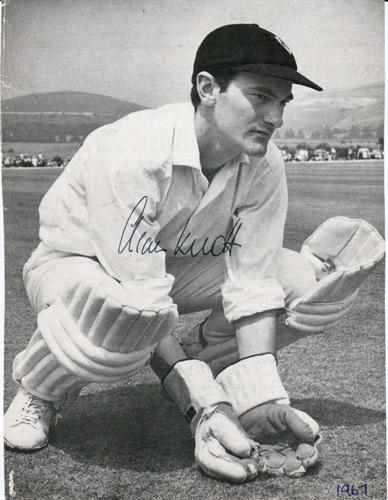 Signed Kent CCC B&W J/V Postcard. 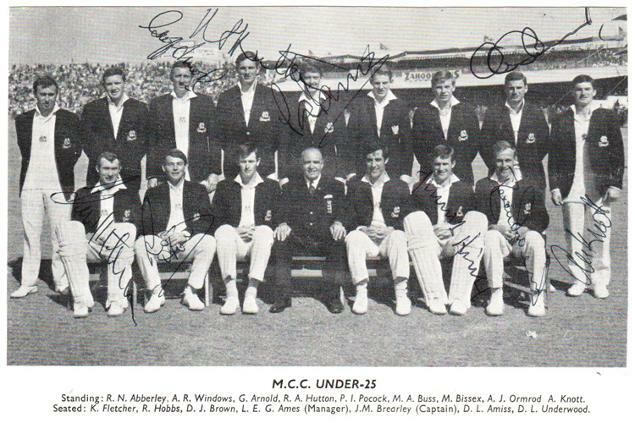 Signed 1960s MCC under-25 squad pic. 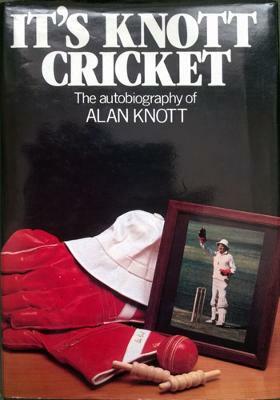 Also signed by Geoff Arnold, Richard Hutton, Pat Pocock, Alan Ormrod, Keith Fletcher, Robin Hobbs and Dennis Amiss. 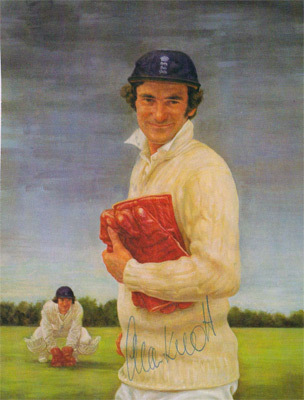 Signed colour book print picture. 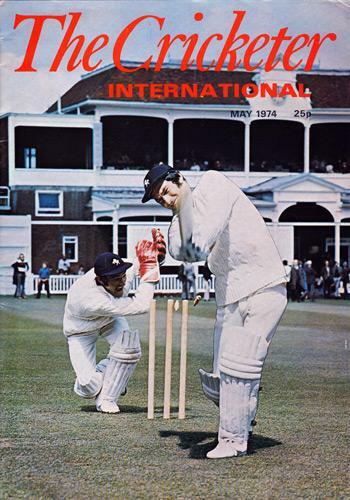 1974 Cricketer Magazine cover featuring the Kent & England wicket-keeper/ batsman in an action photo keeping wicket and batting in front of the Main Pavilion at the St Lawrence Ground, Canterbury. 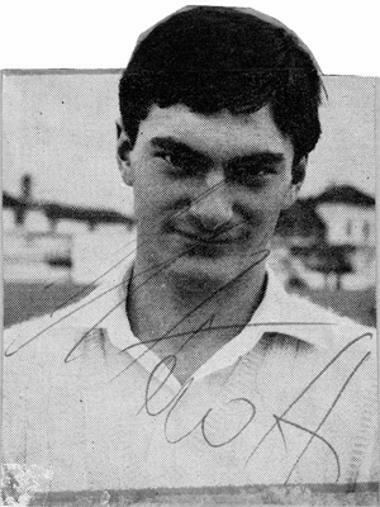 Signed small Kent CCC B&W newspaper pic. 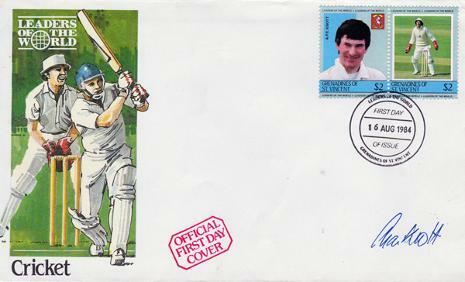 KCCC FDC signed by 3 Kent Cricket legends: Colin Cowdrey, Derek Underwood & Alan Knott. 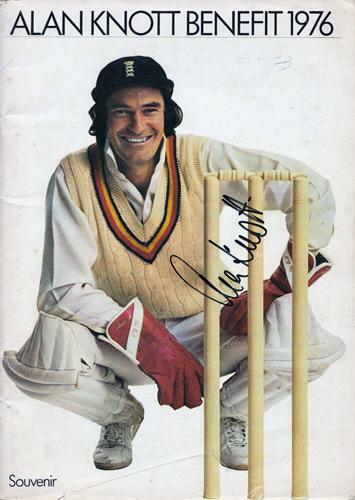 Signed England Test match magazine pic. 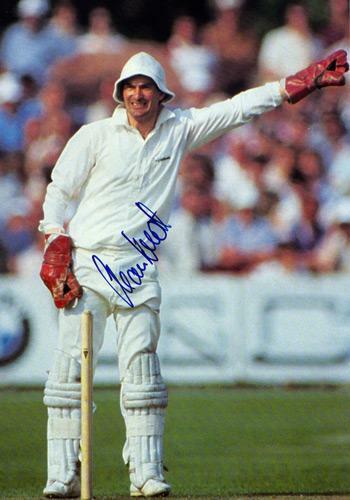 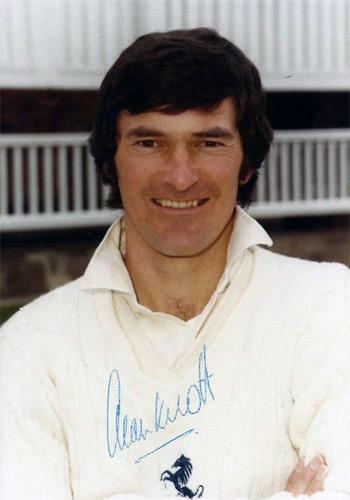 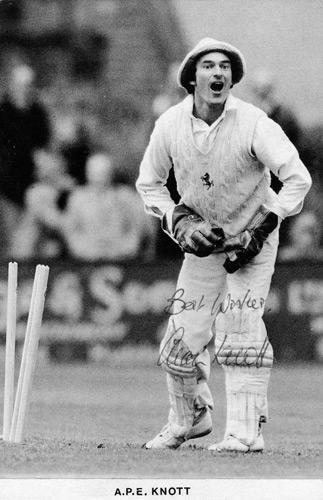 Signed 1970s Kent CCC portrait photo. 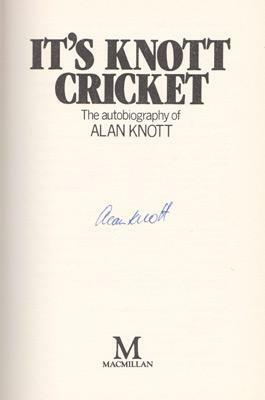 Signed autobiography "It's Knott Cricket"